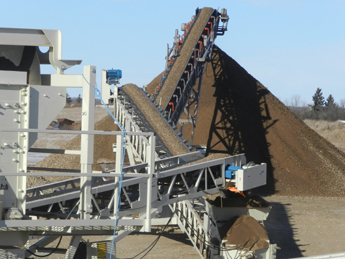 Melron can supply all your needs for gravel, sand, rock, topsoil and fill. We believe in the old saying �necessity is the mother of invention.� We saw the need for an affordable spike tooth packer for a variety of users working with limited budgets. 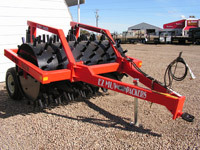 We couldn�t find one in the marketplace so, with the help of a local manufacturer, Riteway Manufacturing, we designed and manufactured one to bring to the market place. To keep costs in line we designed it to be a towable mobile unit unlike the competition. We then used a unique, heavy-duty hydraulic system to allow the drum to be raised and wheels to be lowered to allow for easy transport without requiring a trailer. The rest is history. If your business, farm, R.M. or road construction company has a need for a ground packing solution then we might have just what you are looking for. 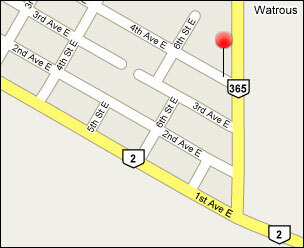 Melron is an authorized dealer for Bergen Trailers for Watrous and surrounding areas. Our business relies on trailers to provide service to our customers. We need trailers that won�t let us down so we use Bergen Trailers and believe in their quality enough to sell them to our friends, family and customers. Bergen Industries has been building quality trailers since 1970. From their experience gained over the years, they build a variety of trailers backed by a warranty that is second to none in the trailer industry. All Bergen trailers are approved by the Federal Department of Transportation. We handle the complete line of Bergen Trailers including a variety of Flat Deck trailers in both Goose Neck and Bumper Hitch models. Click here for our inventory. Melron is an authorized dealer for PJ Trailers for Watrous and surrounding areas. 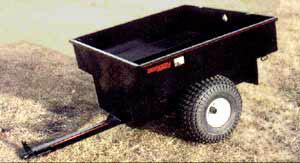 PJ Trailers was originally established in 1991 and has become the leader in trailer manufacturing in North America. PJ Trailers Canada was incorporated in 2003. For the full line of available trailers, see PJ Trailers. Click here for our inventory.